My feet have felt wonderful every since I started wearing them. One thing I have noticed is that I see a lot of soldiers wearing the same boot everyday and never resole it because of the local resolers saying they can't, but not true, because of new technology it takes a little more time. A good place to get it done is Resole America or call the actual Wellco store, Combat Footgear in Bragg. I tell them all "what boot do you wear everyday for everything and never resole" eventually it will break when you could have kept it a long time. Overall, an excellent boot. Second best cushioning system out there. The Wellco company opened up at Fort Bragg, N.C., a few years back and had stellar success against the "re-soling" boot market. Prior to Wellco and other custom boots competing with standard military boots, most military folks had their boots "re-soled" with a sneaker layer glued to the bottom of the boot. The problem with this was that the sole applied was soft, but the rest of the original boot still lacked a sneaker fit and overall comfort. Enter Wellco, Bates (Navy Seal boot), and Altima, on this side of the Atlantic. Wellco beats the Bates durashock sole on pure comfort alone, and given that the Wellco jungle boot looks identical to the regular jungle boot, soldiers can wear the Wellco without getting in trouble with an "out of regulation boot" like the Bates, which looks nice, but more like a non-GI issue boot. This is a problem for most conventional units like the 82nd Airborne. My problem with my Wellcos is minor, but noticable when wearing a pair of the ultimate boots, yet to be named in this review. Wellco makes a thick cushion heel in the sole, but tapers it narrow, leaving the boot unstable in rocky or uneven terrain, causing the boot to be more prone to rolls and ankle twists. Carrying 50-75lbs of gear in military operations, this does get annoying, but overall a fantastic boot. However, one company on the other side of the Atlantic beats the Wellco, sort of. While in Iraq, I traded for a pair of these British made US sold GIGA "freedom" desert boots, with this Ni-Trax sole on the bottom. 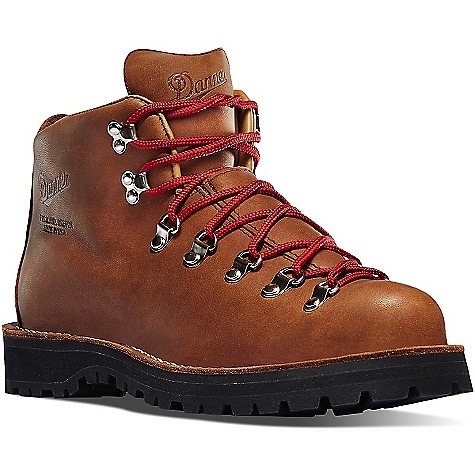 Prior to wearing these boots, I wore a pair of Bates desert boots (made identical to their Seal boots). Once I started wearing the Ni-trax, there was no going back. 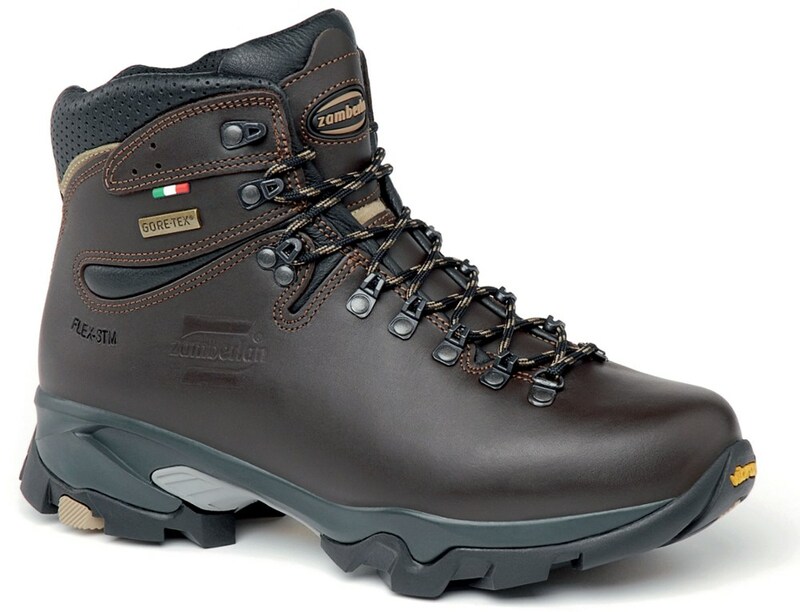 This material is a god-send for the military, and it is a shame that there are no jungle or black boots made with the Ni-trax with the exception of a "stealth" model made by a British company called Pro-Boot. This boot is entirely too heavy for anything aside from winter op's due to its thick padding and liner. For desert boot looks and the most incredible cushie comfort, go with GIGA's freedom boot. You will not be disappointed. 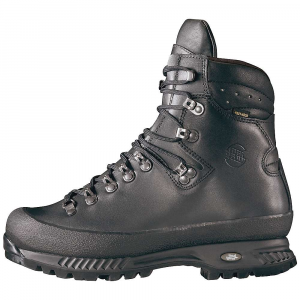 I would take the pepsi challange against Wellco boots any day, but until Ni-Trax gets its marketing act together and builds a US Army specs jungle boot with Ni-trax sole, I will continue to wear the Wellco for military operations. For breaking them in- use saddle soap on your Wellcos, put them out in the hot sun (or use a blow dryer) to melt the soap into the leather. Strip it off 24hrs later, then apply lots of black shoe polish- dont be stingy- let it soak in. Break out your 100% cotton balls and water, and perform small circular motions until you get that high-polish shine. For non-military folks, use a brush and get the excess polish off. Throw in a sorbafain (spelling is wrong) sole and go do some miles. These are similar to Altama military issue jungle boots, but are made by Wellco, a lesser known, but more experienced company. 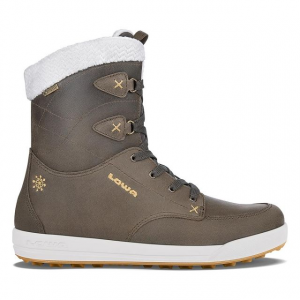 They have leather uppers with breathable and durable 1000d Cordura nylon sides with a web ankle support. A padded tongue is also made of nylon. The boot is much improved over standard military boots. It features Wellco's exclusive TuffKushion sole, which has a more comfortable midsole, designed with athletic shoe cushioning in mind. The sole is also of a different rubber and tread pattern. It really does make a difference. They are some of the most comfortable boots I've worn. I used them for a canoe expedition in Canada, and my feet stayed wet the whole time, and portaging was not a problem. I never had any foot problems. One feature you can't find on "commercial" boots is the drain holes. This allows water to drain quickly, and the Cordura sides will dry faster too. The one negative thing is that the TuffKushion soles don't seem to be as durable as the standard soles. Hiking over rough rocks has worn them quite a bit, but it shouldn't really be a problem. Very tough, and comfortable. 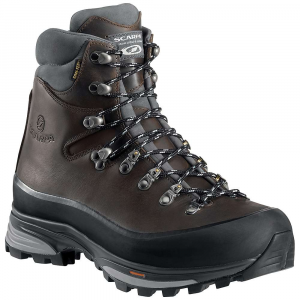 Good boot for the money, especially if you need a boot for wet environments, where Gore-Tex won't help. 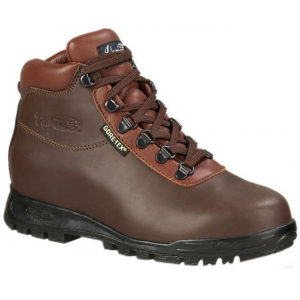 The Wellco TuffKushion Jungle Boot is not available from the stores we monitor.